Purchasing a piano is one of the most exciting things you can do. As with anything valuable, there is always a concern with how much value the instrument will have after the purchase. So, do pianos depreciate? Yes, pianos depreciate over time. The amount of depreciation depends on the brand of piano, the condition of the instrument, and the current piano market. Some pianos hold their value while others appreciate over time. Every piano is different, however, there are some basic principles to determining their value. I’ll share with you some aspects that affect depreciation in pianos. We’ll also look at some cases where the value of the piano is relatively untouched. I’ll also explain those rare cases where a piano will actually increase in value with age. Purchasing a piano is a lot like purchasing a vehicle, it will immediately be worthless the minute ownership is transferred to you. Because piano dealers need to protect the sale, most pianos immediately lose their value after being purchased. The drop in value is substantial, often ranging between 670 – 75% within just 2 – 3 years of the initial purchase. Used pianos are already offered at a discount, and in most cases are worth next to nothing after being purchased from a dealer. If the piano is a popular brand and the market is trending upward, then inflation will actually cause the value of the instrument to rise after depreciating initially. Pianos that are mass produced generally are not subject to those kinds of favorable results. Below is an example of what a piano depreciation schedule would look like. As you can see, the piano loses 20% of its value in the first year alone. From there it faces a steady decline of around 5% per year. As the piano approaches the 10th year, the depreciation slows significantly. There is not a set depreciation schedule to follow, however many of the same factors apply to each. 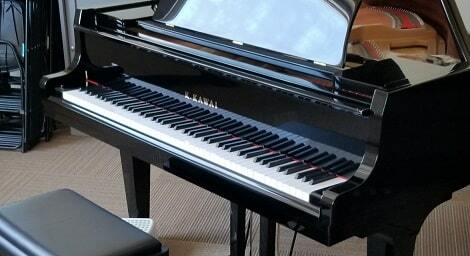 Things like supply and demand, limited edition pianos, condition and repairs, mass-produced pianos, and the economy can determine the value of a used piano. Outside of protecting sales and the market, pianos depreciate quickly because of how often they are used. Every time a piano is played the wear and tear begins. It is hard to gauge just how much affect humidity control, playing, and moving has on a piano. With parts that may shift over time, wood that may swell or shrink and parts that wear down, the value of the instrument will decrease gradually. While all parts of a piano are easily replaceable, sometimes it can be expensive. A rebuild of a piano costs thousands of dollars. Then there are costs to address tuning, voicing, and other issues that may arise over time. 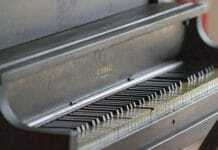 Pianos that are well maintained will sometimes beat the depreciation system. This is seen particularly with pianos that are purchased and rarely used at all. Having the piano inspected can help secure more confidence in the purchase from a piano dealer or on the secondary market. This is also an opportunity to certify the condition of the instrument and get it properly appraised. It’s important to remember that the piano market is always rising and falling. Lower quality piano brands tend to be influenced much more by this. As a result, used pianos will depreciate much faster. When it comes to higher quality pianos however, the changes in the market has much less of an effect. While most pianos depreciate in value, there are some exceptions to that rule. You mainly see this happen with some of the bigger brands like Steinway, Fazioli, Bosendorfer, and Yamaha. Because the quality of their pianos is so good, they tend to hold their original value. This means they are not affected by what’s currently happening in the market as much as other pianos. Used pianos that have little to no use will also hold more of their value. Depreciation charts generally account for normal wear and tear. Limited edition instruments also tend to hold their value or appreciate over time. This is because there is a smaller number of those pianos in production. Pianos that also have unique components in them or special finishes and engraving will also hold more value. In general, pianos that are mass produced tend to depreciate quickly. This is because obtaining another piano like it with similar quality is not difficult. Also, more pianos equal more competition between sellers. For example, if each piano store in your city had Kawai GL-10 baby grand pianos, then it’s easier for them to keep dropping prices in order to compete with the other and drive more sales. The same works for if a customer were to try to sell that same model piano to the dealer. It would not be worth much to them because that’s a model they regularly sell. On the other hand, when dealing with a brand like Steinway who has showrooms that do not compete with one another, your instrument will hold more value. Determining how much your piano is worth is important if you want to eventually sell it. However, there are a lot of factors to consider to determine how much impact the depreciation schedule has on the value of your piano. Generally speaking, upright pianos depreciate very quickly. Really old uprights are worth close to nothing, however, it’s possible to get a few hundred dollars from them. Quality uprights by Yamaha, Steinway, and Kawai generally sell for more. A quick Google search of your piano model can show what comparable sales would look like. Grand pianos hold more value, however, lower quality models lose their worth just as fast as uprights. The age of the piano matters the most when it comes to depreciation. If you’ve got an antique instrument then there may be some unique value there. Particularly pianos that have different types of models in them, or feature their original soundboard. Pianos pre-1950 will also have ivory keys which add to their overall value. Regardless of the age or build, pianos that have had significant damage will have a tough time selling. Water damage, dents, scratches and more can hurt the value you may gain from the instrument. Ultimately, the demand for the instrument in your local market matters. It’s hard to sell a used piano for $30,000 when a piano dealer is selling the same model brand new for $15,000. Keep those things in mind, and consider selling out of your local market if it means gaining more money. Selling A Used Piano, What’s The Best Place? Now that you have an idea on how pianos can appreciate, you may be wondering where’s the best place to sell a used piano. The answer to that varies depending on the local market, depreciation schedules, and time. As a general rule, getting good money for a piano that you already own is tough to do when trying to sell it to a piano shop. It’s not easy to sell a piano back without forfeiting a significant amount of money. While that is the case, completing a sale is a quick and easy process. Most piano stores will pay for the moving costs and repairs the instrument needs heading forward. Of course, they can afford to do this because they offer so little value for the instrument even if it’s in excellent condition. The mindset when selling to a piano dealer should be that of simply getting rid of the piano and nothing more. The reality is that most piano dealers are interested in doing trade-ins for used instruments. When doing trade-ins, the dealer is able to acquire something of value for far less than buying the instrument outright. In that case, the customer does not always get the best value for the instrument. Eventually, the piano dealer will turn around and resell the instrument for a profit. As a customer, trading in instruments is a good idea if you’re simply looking to get rid of your piano. You can get some value for it and apply it to the purchase of another piano. However, if you’re looking to make the most money from your instrument, you’ll be better off selling it on the secondary market. The secondary market includes places like Facebook Marketplace, Craigslist, Pinterest, and Yardsales. In this case, you’re opening the sale of the instrument up to the general public. If you have a quality instrument, then expect to get quality offers for the piano. While selling the instrument may take some more time, selling a piano this way will help you acquire more money. When selling on the secondary market, it’s a good idea to sweeten the deal with free piano moving, tuning, and even a limited warranty. Offering payment plans is also acceptable as long as this can be agreed to in writing. I recommend at least getting a 50% down payment from the buyer before selling the instrument. Purchasing a piano is a big decision, and the value of the instrument has a huge effect on that purchase. While most pianos depreciate across the first few years of purchase, inflation plays a major role. Typically between years 6, 7, 8, the piano will return close to its original purchase price in value. This is because new models have come out since then, and the price of those new models helps add more value to the old one. In many cases, as the value of new pianos continues to rise, so does the value of your old one. It’s very possible to resell your piano for more than what you paid for it. Of course, this all depends on who you sell it to, how well the instrument was maintained, and the popularity of the model.